Not everyone is so deeply committed to sharing their story to help others. To reveal intensely private information about family dynamics , personal relationships and interactions to help make life easier for someone else — that too, complete strangers. never met. I was only so privileged to have had this special experience yesterday, with Bruce McIntosh, husband and father of two. this father has for his son. Even when his son, who is in the throes of puberty, recently used his strength to overpower his father, after assaulting his mother, during a more serious ‘meltdown’– Bruce speaks lovingly of the young boy who taught himself how to read, who is sharp as a whip, but whose communication skills are devoured by the condition which at times lead to the need for crisis intervention, including the police. The McIntosh family has been coping with Cliff’s autism for 10 years now, and increasingly feel they are not able to cope with the 24-7 hour care and monitoring that Cliff needs. They are asking the provincial government to create a crisis centre to help autistic children like Cliff get the help they need, from professionals who have expertise in treating children with autism. 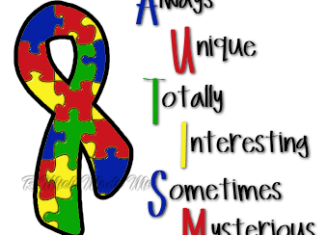 One in 88 children will be diagnosed with autism. That is until today. A new U.S. study shows that number is now one in 50 children will be diagnosed autism. As experts weigh in on the causes and treatment protocols, parents like Bruce and his wife Linda suffer, silently. Siblings like Cliffs’ sister, Clara, are forced to understand. Parents like Cliff’s parents are made to endure such things as being rejected by hospitals when their son needs help, needing extra help in their house to care for Cliff, taking on unforeseen expenses (medications, staffing, etc. ), to give their child(ren) some semblance of normalcy, endure the biting pain of isolation, rejection from friends and family, even medical professionals who simply DO NOT UNDERSTAND, people who judge, assume and show little concern for truly understanding the reasons why children with autism do things differently. Through all of these harrowing life changes and situations, Bruce loves his son. That has never and will never change. What must change and hopefully is changing ever so slowly is society’s view of children with autism, as well as our understanding of what it must be like to be a parent of a child with autism.